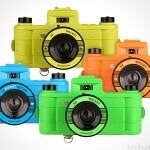 you gotta give it to Lomography for the ability to refresh their products so regularly. last year we featured the Lomography Sprocket Rocket panorama camera and today, Lomography announced yet another sprocket, this time in all white body. some may sneer at this lame ‘refreshment’ but avid analog panorama photography fans will be glad that they have yet another color option. the truth is, black isn’t for everyone. the Lomography Sprocket Rocket White Edition is released in honor of the Lomography Exhibition at the Times Square Hong Kong, effectively, making this the “HK Times Square Edition”. just some refresher of what’s the sprocket is all about. 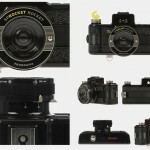 the Sprocket Rocket takes analog panoramic shots on 35 mm film that capture images including the sprocket holes. obviously, panorama and the sprocket holes are the highlights that adds to the artistic value of this lo-fi photography. 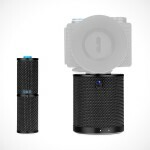 it features scrolling knobs for easy multiple exposures, B-setting for low-light or long exposures, zone focusing, 30 mm lens, hotshoe for flash and standard tripod screw. 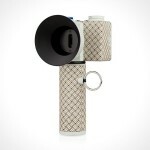 the White Edition package includes the Sprocket Rocket camera, lens cap, tripod/strap screw, The Booklet, documentation and Sprocket Blocking Frame. 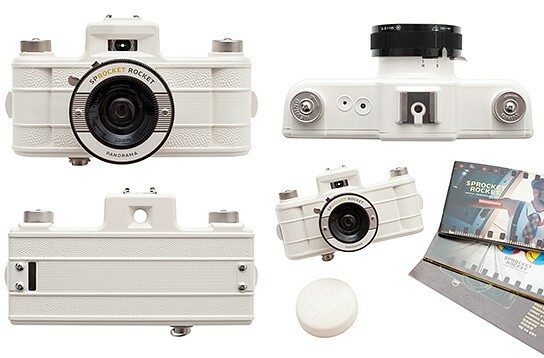 the Lomography Sprocket Rocket White Edition retails for US$101.17 and is available now on Lomography web store.